1939: Ernie Terrell born in Belzoni, Mississippi. 1932: Charlie Powell born in Dallas, Texas. 1943: Jimmy Barry dies in Chicago, Illinois. 1944: Los Angeles, CA. World Bantamweight Championship. Manuel Ortiz W 15 Tony Olivera. Retains title. 1961: Ray Mercer born in Jacksonville, Florida. 1963: Tokyo, Japan. World Bantamweight Championship. Eder Jofre KO 3 Katsutoshi Aoki. Retains title. 1970: Missoula, Montana. World Light Heavyweight Championship. Bob Foster KO 4 Roger Rouse. Retains title. 1974: Vassily Jirov born in Balqash, Kazakhstan. 1975: Milan, Italy. WBC World Junior Flyweight Championship. Franco Udella W DQ. 12 Valentin Martinez. Wins newly created title. 1980: Steve Molitor born in Sarnia, Ontario, Canada. 1982: Kelly Pavlik born in Youngstown, Ohio. 1981: Buenos Aires, Argentina. WBA World Super Bantamweight Championship. Sergio Palma W 15 Leonardo Cruz. Retains title. 1989: Inglewood, CA. WBA World Super Bantamweight Championship. Juan Jose Estrada KO 10 Jesus Poll. Retains title. 1990: New York City, NY. WBA World Lightweight Championship. Juan Nazario KO 8 Edwin Rosario. Wins title. 2003: Clermont-Ferrand, France. WBA World Super Bantamweight Championship. Salim Medjkoune W 12 Vincenzo Gigliotti. Retains title. 2005: Osaka, Japan. WBC World Strawweight Championship. Katsunari Takayama W 12 Isaac Bustos. Wins title. 2009: Montreal, Canada. WBC World Light Welterweight Championship. Timothy Bradley W 12 Kendall Holt. Retains title. 2009: Austin, Texas. WBC World Lightweight Championship. Edwin Valero KO 2 Antonio Pitalua. Wins vacant title. 2009: Ciudad Victoria, Mexico. WBC World Junior Flyweight Championship. Edgar Sosa KO 4 Pornsawan Kratingdaenggym. Retains title. 2012: Kanagawa, Japan. WBA World Super Flyweight Championship. Tepparith Kokietgym W RSC 9 Tomonobu Shimizu. Retains title. 2015: Metepec, Mexico. WBC World Super Flyweight Championship. Carlos Cuadras W 12 Luis Concepcion. Retains title. 2015: Quebec, Canada. WBC World Light Heavyweight Championship. Adonis Stevenson W 12 Sakio Bika. Retains title. 1896: Harry Harris’s pro debut in Chicago, Illinois. Harry Harris W 5 Dennis Mahoney. 1906: Chelsea, MA. Sam Langford W 15 Joe Jeanette. 1907: Raymon Castillo born in Santiago de Cuba, Cuba. 1915: Havana, Cuba. World Heavyweight Championship. Jess Willard KO 26 Jack Johnson. Wins title. 1929: Los Angeles, CA. World Junior Lightweight Championship. Tod Morgan W 10 Santiago Zorilla. Retains title. 1943: Fighting Harada, born Masahito Harada, in Tokyo, Japan. 1946: Romeo Anaya born in Cahuare, Chiapas, Mexico. 1949: Belfast, N. Ireland. World Flyweight Championship. Rinty Monaghan W 15 Maurice Sandeyron. Retains title. 1970: Tokyo, Japan. WBC World Junior Lightweight Championship. Yoshiaki Numata W 15 Rene Barrientos. Wins title. 1981: Sandy Robb born in Irvine, Scotland. 1981: Tokyo, Japan. WBA World Bantamweight Championship. Jeff Chandler D 15 Eijiro Murata. Retains title. 1987: Seoul, S. Korea. IBF World Super Bantamweight Championship. Seung Hoon Lee KO 10 Jorge Diaz. Retains title. 1991: Marseille, France. WBA World Super Middleweight Championship. Victor Cordoba KO 9 Christophe Tiozzo. Wins title. 1997: Hammanskraal, South Africa. IBF World Super Bantamweight Championship. Vuyani Bungu W 12 Kennedy McKinney. Retains title. 2003: Leipzig, Germany. WBC World Super Middleweight Championship. Markus Beyer W 12 Eric Lucas. Regains title. 2005: Merauke City. Indonesia. IBF World Strawweight Championship. Muhammad Rachman TD 3 Fahlan Sakkreerin. Retains title. 2008: Dusseldorf, Germany. WBA World Middleweight Championship. Felix Sturm KO 7 Jamie Pittman. Retains title. 2008: Rama, Ontario. IBF World Super Bantamweight Championship. Steve Molitor W 12 Fernando Beltran Jr. Retains title. 2008: San Juan, Puerto Rico. WBO World Junior Flyweight Championship. Ivan Calderon W 12 Nelson Dieppa. Retains title. 1900: Detroit, Michigan. World Heavyweight Championship. James J. Jeffries KO 1 Jack Finnegan. Retains title. 1914: Brooklyn, NY. World Middleweight Championship. Al McCoy KO 1 George Chip. Wins title. 1967: Brooklyn Tommy Sullivan dies in New York. 1969: Tokyo, Japan. World Junior Lightweight Championship. Hiroshi Kobayashi W 15 Antonio Amaya. Retains title. 1978: Luis Perez born in Managua, Nicaragua. 1980: Houston, Texas. WBA World Welterweight Championship. Pipino Cuevas KO 5 Harold Volbrecht. Retains title. 1985: Atlantic City, New Jersey. IBF World Lightweight Championship. Jimmy Paul W 15 Harry Arroyo. Wins title. 1987: Las Vegas, Nevada. WBC World Middleweight Championship. Sugar Ray Leonard W 12 Marvelous Marvin Hagler, Las Vegas. Wins title. 1991: Samut Songkram, Thailand. WBA World Super Flyweight Championship. Khaosai Galaxy KO 5 Jae Suk Park. Retains title. 1998: After being found in a dirty, dark, and filthy room in his daughter’s house, Jimmy Bivins, 78, is hospitalized in Cleveland. 2001: Las Vegas, Nevada. IBF World Featherweight Championship. Frankie Toledo W 12 Mbulelo Botile. Wins title. 2007: Saraburi, Thailand. WBC World Flyweight Championship. Pongsaklek Wonjongkam KO 7 Tomonobu. Retains title. 2012: Tokyo, Japan. WBC World Bantamweight Championship. Shinsuke Yamanaka W 12 Vic Darchinyan. Retains title. 2013: Macao, China. WBO World Junior Lightweight Championship. Roman Martinez W 12 Diego Magdelano. Retains title. 2014: Tokyo, Japan. WBC World Light Flyweight Championship. Naoya Inoue W RSC 6 Adrian Hernandez. Wins title. 1896: Benny Leonard, born Benjamin Leiner, in New York, New York. 1960: James ‘Buster’ Douglas born in Columbus, Ohio. 1962: Boston, Mass. World Middleweight Championship. Paul Pender W 15 Terry Downes. Regains title. 1963: San Juan, Puerto Rico. World Lightweight Championship. Carlos Ortiz KO 13 Doug Vaillant. Retains title. 1963: Tracy Spann born born Plainfield, New Jersey. 1967: Aaron Davis born in the Bronx, New York. 1968: Ruby Bradley, ‘The Dark Cloud’ dies in Holyoke, Massachusetts. 1972: Miami Beach, Florida. World Light Heavyweight Championship. 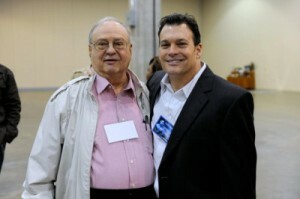 Bob Foster KO 2 Vicente Rondon. Retains title. 1975: Johannesburg, South Africa. WBA Light Heavyweight Championship. Victor Galindez W 15 Pierre Fourie. Retains title. 1984: Atlantic City, New Jersey. WBA World Bantamweight Championship. Richard Sandoval KO 15 Jeff Chandler. Wins title. 1985: Pusan, South Korea. IBF World Featherweight Championship. Min Keun Oh W 15 Irving Mitchell. Retains title. 1986: Nirasaki, Japan. WBA World Flyweight Championship. Hilario Zapata W 15 Shuichi Hozumi. Retains title. 1990: Las Vegas, Nevada. IBF World Featherweight Championship. Jorge Paez W 12 Louie Espinoza. Retains title. 2000: Bristol, England. IBF World Super Bantamweight Championship. Lehlo Ledwaba KO 8 Ernesto Grey. Retains title. 2001: Las Vegas, Nevada. IBO World Featherweight Championship. Marco Antonio Barrera W 12 Prince Naseem Hamed. Wins title. 2007: Cardiff, Wales. WBA/WBC/WBO World Super Middleweight Championship. Joe Calzaghe KO 3 Peter Manfredo Jr. Retains title. 2007: Tokyo, Japan. WBA World Strawweight Championship. Yutaka Kiida W 12 Katsunari Takayama. Retains title. 2013: Tokyo, Japan. WBC World Bantamweight Championship. Shinsuke Yamanaka W RSC 12 Malcolm Tunacao. Retains title. 1831: Jem Mace born in Beeston, Norfolk, England. 1923: Arthur Chambers dies in Philadelphia, Pennsylvania. 1941: St. Louis, Missouri. World Heavyweight Championship. Joe Louis KO 9 Tony Musto. Retains title. 1961: Los Angeles, CA. World Featherweight Championship. Davey Moore KO 1 Danny Valdez. Retains title. 1978: Hat Yai, Thailand. WBC World Light Welterweight Championship. Saensak Muangsurin KO 13 Francisco Moreno. Retains title. 1978: Bayamon, Puerto Rico. WBC World Super Bantamweight Championship. Wilfredo Gomez KO 7 Juan Antonio Lopez. Retains title. 1979: Panama City, Panama. WBA World Featherweight Championship. Eusebio Pedroza KO 11 Hector Carrasquilla. Retains title. 1979: Las Vegas, Nevada. WBA World Bantamweight Championship. Jorge Lujan KO 15 Cleo Garcia. Retains title. 1979: Tokyo, Japan. WBA World Junior Flyweight Championship. Yoko Gushiken KO 7 Alfonso Lopez. Retains title. 1982: Gennady Golovkin born in Karaganda, Kazakhstan. 1982: Osaka, Japan. WBA World Super Flyweight Championship. Jiro Watanabe W 15 Rafael Pedroza. Wins title. 1988: Miami Beach, Florida. WBC World Super Flyweight Championship. Gilberto Roman W 12 Baby Sugar Rojas. Retains title. 1989: Melbourne, Australia. WBC World Featherweight Championship. Jeff Fenech W 12 Marcos Villasana. Retains title. 1989: Yokohama, Japan. WBA World Super Flyweight Championship. Khaosai Galaxy W 12 Kenji Matsumura. Retains title. 1995: Las Vegas, Nevada. WBC World Heavyweight Championship. Oliver McCall W 12 Larry Holmes. Retains title. 1995: Las Vegas, Nevada. WBA World Heavyweight Championship. Bruce Seldon KO 7 Tony Tucker. Wins vacant title. 1995: Las Vegas, Nevada. WBC World Light Middleweight Championship. Luis Santana W DQ 3 ‘Terrible’ Terry Norris. Retains title. 1995: Las Vegas, Nevada. IBF World Welterweight Felix ‘Tito’ Trinidad KO 2 Roger Turner. Retains title. 1995: Las Vegas, Nevada. WBC World Light Welterweight Championship. Julio Cesar Chavez W 12 Giovanni Parisi. Retains title. 2000: Paris, France. WBA World Cruiserweight Championship. Fabrice Tiozzo KO 6 Valery Vikhor. Retains title. 2000: Paris, France. WBA World Super Middleweight Championship. Bruno Girard W 12 Byron Mitchell. Wins title. 2000: Bangkok, Thailand. WBA World Flyweight Championship. Sornpichai Singwangcha, KO 5 Gilberto Gonzalez. Retains title. 2006: Las Vegas, Nevada. Floyd Mayweather W 12 Zab Judah. 2006: Las Vegas, Nevada. WBA World Lightweight Championship. Juan Diaz W 12 Jose Miguel Cotto. Retains title. 2006: Las Vegas, Nevada. Jorge Arce KO 6 Rosendo Alvarez. 2011: Kobe, Japan. WBC World Super Bantamweight Championship. Toshiaki Nishioka W KO 9 Mauricio Javier Munoz. Retains title. 2011: Kobe, Japan. WBC World Junior Lightweight Championship. Takahiro Ao W KO 4 Humberto Mauro Gutierrez. Retains title. 2013: Tokyo, Japan. WBC World Flyweight Championship. Akira Yaegashi W 12 Toshiyuki Igarashi. Retains title. 2013: Tokyo, Japan. WBC World Junior Lightweight Championship. Takashi Miura W RSC 9 Gamaliel Diaz. Wins title. 1928: New York City, NY. New York World Flyweight Championship. Corp. Izzy Schwartz W 15 Routier Parra. Retains title. 1955: Augusta, GA. Ike Williams D 10 Beau Jack. 1981: Wakayama, Japan. WBA World Junior Lightweight Championship. Samuel Serrano W 15 Yasutsune Uehara. Regains title. 1988: Las Vegas, Nevada. WBA/WBC/IBF World Cruiserweight Championship. Evander ‘Real Deal’ Holyfield KO 8 Carlos DeLeon. Unifies title. 1992: Celano, Italy. IBF World Light Middleweight Championship. Gianfranco Rosi KO 6 Angel Hernandez. Retains title. 1994: Norfolk, VA. WBC World Welterweight Championship. Pernell ‘Sweet Pea’ Whitaker W 12 Santos Cardona. Retains title. 1994: Reno, Nevada. WBC World Super Bantamweight Championship. Tracy Harris Patterson W 12 Richard Duran. Retains title. 1998: Former WBA Heavyweight Champion and 1976 Olympic bronze medalist John Tate, 43, dies in an auto accident, resulting from a stroke caused by a brain tumor in Knoxville, Tenn.
2005: El Paso, TX. WBC Junior Lightweight Championship. Marco Antonio Barrera KO 2 Mzonke Fana. Retains title. 2010: Massy, France. IBF World Super Flyweight Championship. Simphiwe Nongqayi D 12 Malik Bouziane. Retains title. 1931: Detroit, Michigan. World Light Welterweight Championship. Jack ‘Kid’ Berg W 10 Billy Wallace. Retains title. 1937: George Byers dies in Boston, Massachusetts. 1954: Murray Sutherland born in Edinburgh, Scotland. 1956: Sumbu Kalambay born in Lubumbashi, Democratic Republic of the Congo. 1956: Billy Costello born in Kingston, New York. 1964: New Orleans, LA. World Light Heavyweight Championship. Willie Pastrano KO 6 Gregorio Peralta. Retains title. 1965: Panama City, Panama. World Lightweight Championship. Ismael Laguna W 15 Carlos Ortiz. Wins title. 1974: Victor ‘El Acorazado’ Burgos born in Copala, Sinaloa, Mexico. 1992: México City, Mexico. WBC World Middleweight Championship. Julian Jackson KO 5 Ron Collins. Retains title. 1992: México City, Mexico. WBA World Light Welterweight Championship. Akinobu Hiranaka KO 1 Edwin Rosario. Wins title. 1992: México City, Mexico. WBC World Light Welterweight Championship. Julio Cesar Chavez KO 5 Angel Hernandez. Retains title. 1992: Tokyo, Japan. WBA World Super Bantamweight Championship. Katsuya Onizuka W 12 Thalerngsak Sithbaobay. Wins vacant title. 1999: Manchester, England. WBO World featherweight Championship. Naseem Hamed KO 11 Paul Ingle. Retains title. 2004: Las Vegas, Nevada. WBO World Heavyweight Championship. Lamon Brewster KO 5 Wladimir Klitschko. Wins title. 2004: Las Vegas, Nevada. World World Welterweight Championship. Cory Spinks W 12 Zab Judah. Retains title. 2004: Las Vegas, Nevada. WBA World Lightweight Championship. Lakva Sim KO 5 Miguel Callist. Wins title. 2004: Manchester, England. WBC World Featherweight Championship. In Jin Chi KO 7 Michael Brodie, Wins vacant title. 2004: Cartagena, Columbia. IBF World Strawweight Championship. Daniel Reyes KO 3 Roberto Leyva. Retains title. 2010: Sunrise, Florida. WBC World Welterweight Championship. Andre Berto W RSC 8 Carlos Quintana. Retains title. 2015: Moscow, Russia. WBA World Cruiserweight Championship. Denis Lebedev W 12 Youri Kayembre Kalenga. Retains title.